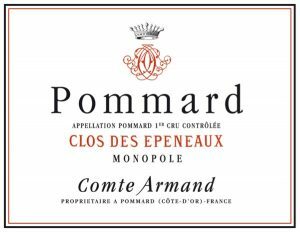 The wines of Comte Armand are the flag bearer of Pommard. The Monopole ‘Clos des Epeneaux’ the star. Volnay & Pommard are the two villages best known for Pinot production in the Côtes du Beaune! Allocations: This is a pre-arrival offer. Wines will be allocated on a 1st in 1st served basis. We’ll let you know what you’ve got as soon as we can. There is as little as 12 bottles available for the country for some wines. Payments: You will be invoiced on confirmation of your allocation. Expecting Arrival: Delivery is expected in November-December 2018. Shipping: These wines are shipped in refrigerated containers and stored in climate controlled warehousing. Given the nature of the wines and likely weather on arrival, we’ll store these wines free of charge until the weather cools sufficiently for safe shipping. Domaine des Epeneaux owes its name to the Clos des Epeneaux, a magnificent parcel of five hectares acquired by Nicolas Marey at the end of the 18th, beginning of the 19th century. In 1828, the Clos des Epeneaux and related buildings, known as the Fief de Rancy, situated in the centre of the village of Pommard, became part of the heritage of the family of the Count Armand. The estate remained as such until 1994 when it annexed a vineyard plot situated in the neighbouring village of Volnay, then later parcels from the village of Auxey-Duresses. Today, Domaine des Epeneaux constitutes a total surface area of 9 hectares, and is more committed than ever to producing wines that are true expressions of their terroir. In 2014, Benjamin Leroux, after 15 vintages of passionate devotion and pleasure, handed the reins over to Paul Zinetti who had worked with the Domaine since 2010. The wines of Pommard have historically been some of the most tannic Pinots on the Côte. Under Benjamin Leroux’s leadership, they soften considerably. Something the current winemaking team has continued. Like so much of Burgundy, Comte Armand was hit with hail and frost through the growing season, dramatically reducing yields. The Guillards, Gevrey-Chambertin, from 2016 were not affected by frost at all. They show a stunning expression of Pinot, transparent, fine delicious with great distinction between the terroirs. This mirror Stephen Tanzers thoughts on the vintage as a whole. Once again we are seeing the ability of great producers to optimise in challenging years. Wines are the very image of the quality of fruit they derive from. With utmost respect toward the grape, our harvest is 100% de-stemmed, keeping most of the berries whole, not crushed. Most years, the total maceration period lasts about 4 weeks, which is relatively long for traditional winemaking in Burgundy. We believe it is far more beneficial to give the extracted matter sufficient time to structure itself into something more stable and harmonious during vinification. The moon, largely guiding and presiding over our rhythm of labour, has had a significant influence in both our vineyards and vat house since the 2001 vintage. For example, our 4-week maceration corresponds to a lunar cycle (that determines the fluids of the earth). The wines are produced according to a continuous 28-day period to best preserve the vibrational state of water in the grapes at the moment of the cutting. If this notion seems far-fetched foremost amateurs, it allows us, notwithstanding the rigorous lunar calendar, to obtain more precise wines with better minerality. Never forget: wine is constituted principally of water. Depending on the appellation and age of the vines, our wines will age18 to 24 months in barrels, with a percentage of new oak ranging from 0% for the Village appellations to 30% for the old vines of Clos des Epeneaux. Most of our wines are neither fined nor filtered to preserve the utmost quality. However, in spite of microbiological controls throughout the ageing process, we strongly advise that they be kept around a temperature of 12°C. Don’t hesitate to decant (in a closed decanter) young vintages at cellar temperature. Generally speaking, we advise patience. Even though by decanting young wines will open up, they will in no way offer the richness one can expect from those that mature a minimum of 10 to 15 years. 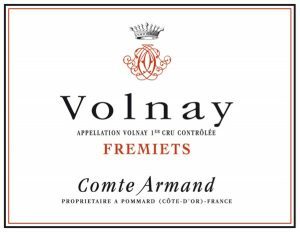 Comte Armand is in the Côte de Beaune south of Beaune right next to Volnay, the other well recognised Pinot producing village south of Beaune. Finally, the reds of Chassagne-Montrachet are also achieve recognition. Getting Your Head Around Burgundy Part 2 – Tiny Old Vines & Heaps of them! (just two barrels made, from 36- and 90-year-old vines; vinified with 10% whole clusters): Bright medium red. Slightly medicinal red cherry on the nose. Moderately dense and juicy, with the redcurrant and herb flavors conveying a faint greenness but a rather elegant texture. The medicinal character carries through on the palate. Winemaker Zinetti plans to wait until March to bottle this wine, which was still on its lees in November. (I tasted the younger- and older-vine components of this wine, followed by the press wine and an approximation of the final blend, which will be bottled with about 13.5% alcohol): Sample from the younger vines (45% of the blend; vinified with 15% whole clusters): Good dark red. Slightly medicinal aromas of red cherry and licorice. Surprisingly dry and backward, with its cherry fruit complicated by pungent licorice and herb notes. Finishes rather suave if a bit tart, with lingering notes of bitter cherry and herbs. Sample from the old vines (45% of the blend; from vines 67 to 93 years of age): Bright, dark red. Distinctly darker and riper on the nose than the younger vines, offering aromas of blueberry, black raspberry and spices. A step up in volume as well, with its dark raspberry and licorice flavors complicated by a licorice note. Very firmly structured wine with a longer, more tactile finish. From the press wine (to comprise about 10% of the blend): Softer, fatter and slightly saline. Finishes a bit tart but this juice should fill in the middle of the blend. An approximation of the final blend: Healthy dark red. Slight medicinal cast to the aromas of cherry, redcurrant and menthol. By far the best and most complete of these samples, offering serious low-yield richness but also terrific definition and energy. This sample somehow displayed captivating violet and mineral notes that were not apparent in any of its components. Lovely depth and restrained sweetness here. Finishes taut and long, with saline and herbal nuances and terrific underlying structure. This reminded me of a 2010; interestingly, last year Zinetti described his young '15 as like a denser version of 2010.